There is no doubt about government support for all types of business activities in Dubai. It is the reason that businesses are continuously flourishing in this emirate. But there are several businesses that may be affected by circumstances (e.g. reduction in global oil prices) or decisions taken by the government (e.g. implementation of VAT). But there is one business that hasn’t seen recession despite difficult times and its continuous growth is evident in Dubai. It is the business related to beauty and wellness industry. The reason for such positive growth of this business activity in Dubai is the desire of people of Dubai to look beautiful and remain healthy at any cost. Both the local and foreign residents of Dubai are playing their part for progress of beauty industry in Dubai. UAE spends most on beauty products in the whole Middle East region while the lion’s share is taken by Dubai. Apart from that, the government also understands the importance of this business activity and supports this business via several steps and measures from time to time. Beauty related company formation in Dubai is possible in mainland area as well as in several free zones. Few free zones provide privilege to businesses related to beauty industry. Marketing of such business is also easy in Dubai through exhibitions and events. Several events are held annually for this purpose. The latest one was Dubai Derma 2018 for skincare businesses. In the modern era, the focus is on natural skincare as compared to beautification on temporary basis through traditional beauty products. This trend is getting famous around the world especially in developed world. Dubai is by no means behind other modern countries due to its international population from around the globe. Global trends get immediate popularity in Dubai and it is also the case with skincare products. Now more and more people are searching for natural and organic products for their skincare instead of artificial products that can produce harmful effects on skin in the long run. The skincare market of Dubai is growing at a rapid pace than expected and now natural skincare is getting more importance among masses. It is mainly due to awareness about the dangers concealed in synthetic beauty products that include dangerous chemicals, toxins, preservatives etc. Natural skincare products are free from such ingredients. They use natural products that are scientifically-proven safe due to their mild and gentle impact on skin. It may take some time to get your desired look with natural skincare but it lasts longer and provides permanent solution to skin problems. Natural skincare products and services are getting popularity among foreigners as well as local population of Dubai. Such clinics and distribution points are constantly opening in all parts of Dubai and they are growing steadily with people’s support. Due to popularity of natural skincare products and services, now several big international beauty companies are also providing their natural skincare version according to the increasing demand of consumers in Dubai. This clearly highlights scope of this business here. But you can expect best results if your business deals solely on natural skincare products and techniques. Due to this interest and increase in demand of such products, now several events also specifically highlight natural and organic products. An example is the Beautyworld ME 2018 for organic beauty products. A natural skincare business can be established in Dubai mainland and several free zones but it is best suited to mainland area. It is because free zones usually restrict business activities in Dubai and UAE outside the particular free zone where the company is located. These zones mainly support import and export activities for traders. If your business is better suited to free zones, then they have their own authorities that check documents and approve license for natural skincare business. 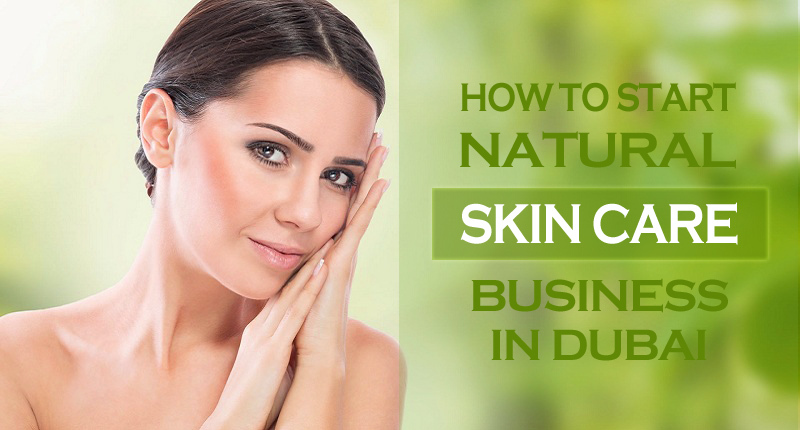 Natural skincare business in Dubai mainland needs approval from Dubai Municipality and other important departments. During this process, several relevant documents have to be submitted in various departments according to their requirements. It is important to submit all these duly filled documents in due time and also complete other conditions for quick approval of your professional license and registration of business. The best option in this case is to select a prominent and experienced consultancy firm for completion of this process. Riz & Mona Consultancy is best for this purpose we are specialist for registration of businesses related to beauty and wellness industry in Dubai.